“I could easily stay in Nevada, but I don’t think you guys want me here,” Simpson told the board. How Simpson plans to make money is unclear — and he may not need to. ESPN calculated that Simpson, 70, could receive as much as $10,565 a month from the NFL , assuming he didn’t start dipping into his pension until he was 65. He could also receive SAG payments for his on-camera work. Any attempt to cash in on his notoriety will be carefully watched, because the Brown and Goldman families won a $33 million judgement against him in a 1997 civil trial, and he has not come close to paying them. He moved to Florida in part because state laws there makes it easier for him to keep his home and other assets. 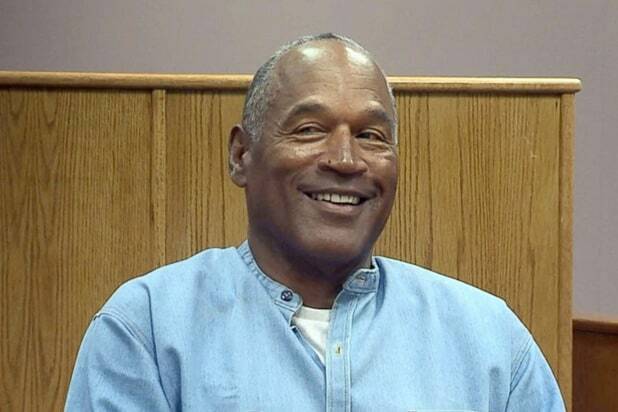 Last year’s documentary, “OJ: Made in America,” showed that Simpson signed autographs and attempted a prank show, “Juiced,” to make money between the civil and robbery trials. The Goldman family relentlessly pursued his gains from every cash grab — including a book called “If I Did It” in which he speculated about how he could have killed Brown and Goldman. At some point, Simpson resorted to robbery — though he said at Thursday’s hearing that he went to the Palace Station hotel to retrieve family items from memorabilia collectors, not sports collectibles of any value. Either way, the trip yielded him a 33-year prison sentence. Even his critics concede it was probably so harsh because of the widespread sense he’s gotten away with murder. In the months leading up to his release, Simpson will meet with case workers in the Nevada Department of Corrections to arrange the terms of his parole. The case workers will set dates for meetings with a parole officer, and establish Simpson’s support network, including his four children. Simpson’s close friend Tom Scotto told The Washington Post that Simpson will move into his house in Naples before getting a place of his own. Should that happen, Simpson will have to attend additional hearings under Florida’s Department of Corrections to set parole terms there. He’ll be treated like a parolee under Florida’s jurisdiction, and if he violates any parole terms, he can be sent back to Nevada to carry out the remainder of his sentence. “We just want him to come home,” she said. When Simpson returned home to affluent Brentwood after his 1995 trial, he found himself a pariah in many circles — including at the Riviera, his favorite country club. Maybe Florida will be more forgiving.